In Los Angeles The Property managers often need commercial plumbing Los Angeles services as they are bombarded sometimes with many calls due to tenants with plumbing issues. These issues can range from backed up sinks and tubs, clogged drains, pipe leaks, water heater issues, toilet back ups and messed up garbage disposals. The fact of the matter is that systems for plumbing in apartment buildings whether large or small are in pressure from the stress that goes on them daily. Our workers at West Coast understands this plumbing issues and we are trained, prepared for Los Angeles plumbing issues in commercial buildings. 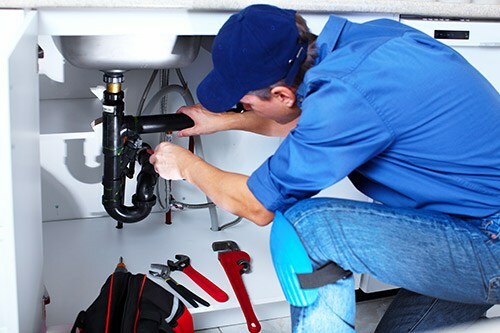 No matter what commercial property management plumbing problem you may be faced with in Los Angeles CA, contact West Coast Los Angeles Plumbing services today and our commercial Los Angeles plumbing technicians can aide you in your emergency plumbing issue in Los Angeles, the San Fernando Valley or Ventura County. Call West Coast PLUMBING today for all your Los Angeles property management plumbing needs. We assist with commercial plumbing is the following cities Sherman Oaks, Studio City, Encino, Tarzana, Woodland Hills, Granada Hills, West Hollywood, Beverly Hills, Bel Air, Brentwood, Pasadena, Westlake Village, Thousand Oaks, Calabasas, Santa Clarita, Newbury Park, Camarillo, Simi Valley, Thousand Oaks, Porter Ranch, Oxnard and Ventura. At West Coast we like our service to be fast and professional and make sure that your plumbing needs are done the first time correctly and quickly. If you are an owner or a commercial property or a property management company we are the plumbers for you. Our service men can be made free during night hours and weekends in the need of emergencies. We work with your sinks and bathtubs along with your pipes to make sure your tenants in Los Angeles are being taken care of. At West Coast Plumbing we realize there are tons of preventive maintenance plumbing techniques that can be used on commercial property and we work with complex plumber issues as well. West Coast sends Licensed and bonded plumbers who have experience and the know how to do great work. West Coast uses a board range of commercial plumbing techniques to ensure your building is being take care of. We work on large and small commercial buildings. Every short cut leads to the long road of recovery in some way. Having a poorly installed plumbing fixture can create a nightmare for anyone tenant or landlord. Flooding and other bad issues arise when your commercial plumber in Los Angeles does not have the skill and experience to do proper work. Give us a call and let us help you with your plumbing issues.